KITGUM—Parliament Deputy Speaker Jacob Oulanya has lashed at Acholi leaders for “exhibiting disunity that is setting back” development in the region. Addressing a meeting of locals and their leaders at Christian Community Church Kitgum municipality on Saturday Oulanya compared the Acholi to the Israelites who took over 40 years to reach the Promised Land from Egypt. “The Acholi are worse than the Israelites. Those who want to move forward are pulled backward with words of discouragement and finger-pointing. 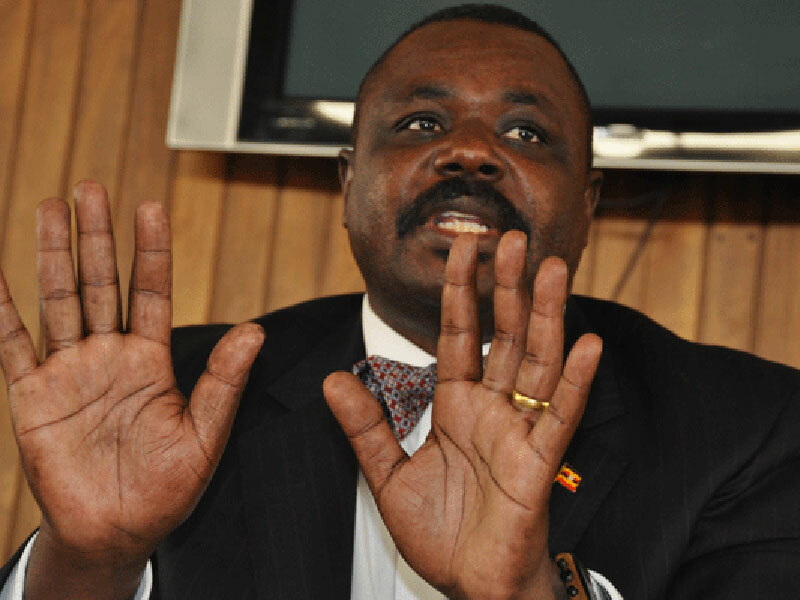 The leaders boast and do not want to humble,” Oulanyah said. The Acholi leaders have a parliamentary forum, Acholi Parliamentary Group, through which they front issues concerning the sub-region in Parliament but have faced criticism from their voters for failing to front an agenda that identifies with the plight of their people. In 1989, lawmakers from Acholi sub-region formed the Acholi Parliamentary Group (APG) as a “solid force” to engage the Government to respond to the needs of the Internally Displaced Persons (IDP), who were affected by Joseph Kony’s Lord’s Resistance Army (LRA) insurgency. APG’s advocacy was one of the reasons LRA insurgency reached the attention of the world, drawing international community’s condemnation of LRA atrocities as well as emergency assistance. But on Saturday, Oulanyah told the meetimg that the Acholi leaders are so divided that they have not been able to join efforts in fighting poverty in the sub-region. Oulanyah, without mentioning names, said the Acholi leaders have “swelled to show who is more powerful than the other in politics” yet many of their people continue to languish in poverty. The deputy speaker said the Acholi have had exemplary leaders like Archbishop Janan Luwum who united many people and is remembered 40 years after his death as a fighter for his people. He expressed worries that leaders in Acholi are not following the footsteps of such great unifiers of the land. He said his name Lanywen was given to him because of the disunity in his home at the time. “Leave Lanywen and get to addition (mathematical formula) so that resources are brought together to benefit our people. Use division to share resources equally and divide more in the hands of our people. These mathematical principles should live among us,” he said. Oulanyah said if the Acholi leaders united and chose one direction to show their people, they would get a better share from the national cake to bring home to their people. He added that leaders who boost of their own abilities are useless; instead they should use their positions of leadership to humble and serve the interest of their people for better results. “Humility is what we need as Acholi,” the deputy speaker said. Rev Walter Otim, of Pentecostal Assembly of God Kitgum, said poverty thrives in Uganda because of poor leadership and the attitude of leaders toward their people. He said most leaders are self-centred. “Some people have big positions of leadership but are self-centred. They do nothing out of selfish ambitions. When you are a leader, the best legacy you can leave behind is the number of people you have touched with your spirit of humility to do great things,” Otim said. He asked Ugandan leaders to repent and the Acholi community to work together with their leaders to realise their dream of developing the region to have a modern appeal to tourists and others who hear about the Acholi community of Northern Uganda.